OSSM seeks to meet the individual needs of applicants and current students with disabilities and medical conditions by coordinating and implementing appropriate accommodations and providing resources and services as they relate to academics, residence, dining and campus activities. As a residential school, our students must be able to care for themselves and live and work independently, with reasonable accommodation, within a rigorous academic residential community. Academic accommodations and associated resources and services are designed to provide equal access to courses and programs, but they do not guarantee an outcome or a level of achievement. Academic accommodations may be granted if they are reasonable, proportionate to the difficulties experienced by the student, and do not fundamentally alter the academic program or impose an undue financial or administrative burden on the institution. Furthermore, accommodations are not required to address a purely personal need, such as a personal care assistant, an individually prescribed device, or other devices or services of a personal nature. Each requested accommodation will be evaluated and considered based on the information submitted by the requesting student. Students with disabilities are expected to meet the same standards of academic performance as other students, but may be allowed accommodations in the manner in which performance is measured. For example, a student may be allowed extended time for testing, or may be allowed to use certain assistive technology. Such accommodations are allowed so that the student’s academic competency is being measured, unimpeded by the student’s disability. Accommodations must be requested by a student and/or the parent/guardian in a timely manner which will allow the OSSM Academic Counselor to review supporting documentation, determine eligibility, and establish the accommodations. All accommodations are determined through a mutual, collaborative process. 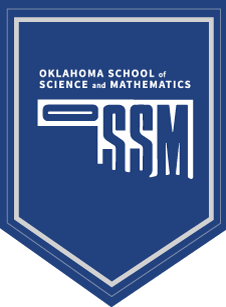 During this process, the OSSM Academic Counselor will work with the student and the parent/guardian to determine how to reasonably accommodate the student’s specific, individual needs through possible academic adjustments and/or educational auxiliary aids. After a student is accepted to OSSM, the parent/guardian will be provided an opportunity to inform the OSSM Accessibility Coordinator of their student’s current status as a student with an Individualized Education Plan (IEP) or Section 504 Plan, and to indicate that they would like their child to be considered for accommodations at OSSM. The parent/guardian will be contacted by the Academic Counselor to begin the accommodation request process. A current IEP, Section 504 Plan, or formal accommodation plan implemented by the student’s home school, if any. Current documentation of the disability provided by the licensed professional who made the diagnosis. Specific accommodations recommended by the diagnosing professional. A written parent/guardian request that specific accommodations be implemented. Upon receipt of the aforementioned documentation, the Academic Counselor will review the documentation to determine eligibility. If the student is deemed eligible, the Academic Counselor will work together with the parent/guardian and student to discuss reasonable accommodations. OSSM is committed to ensuring that all information regarding a student is confidential as required or permitted by the law. Any information collected is used for the benefit of the student. This information may include test data, grades, biographical history, disability information, performance reviews and case notes. Contact Terry Berryman, Academic Counselor (405) 410-6404 (c).